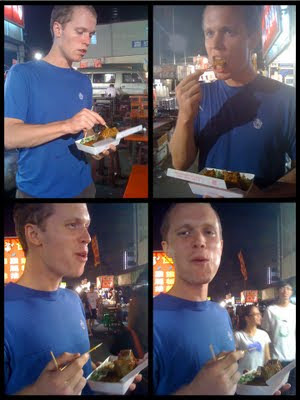 Jeremiah tried stinky tofu again, this time on purpose, at a little market. 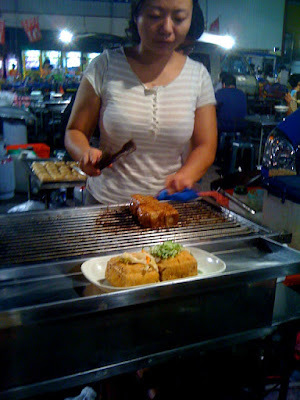 I stayed away - once was good for me. He made a good go at it, eating a good majority. When the sauce ran out though, he couldn't eat any more.